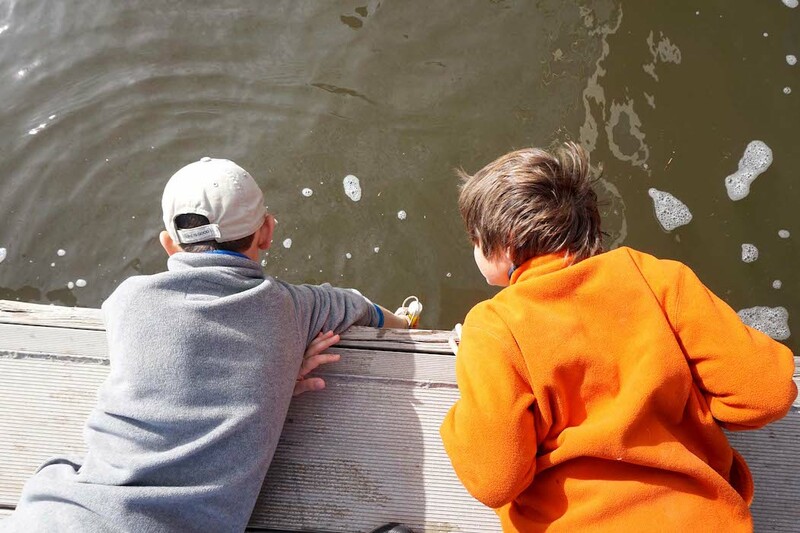 Lower Elementary students use a net to scrape underneath a floating dock to see what is there as part of a session with the rangers at Crooked River State Park. 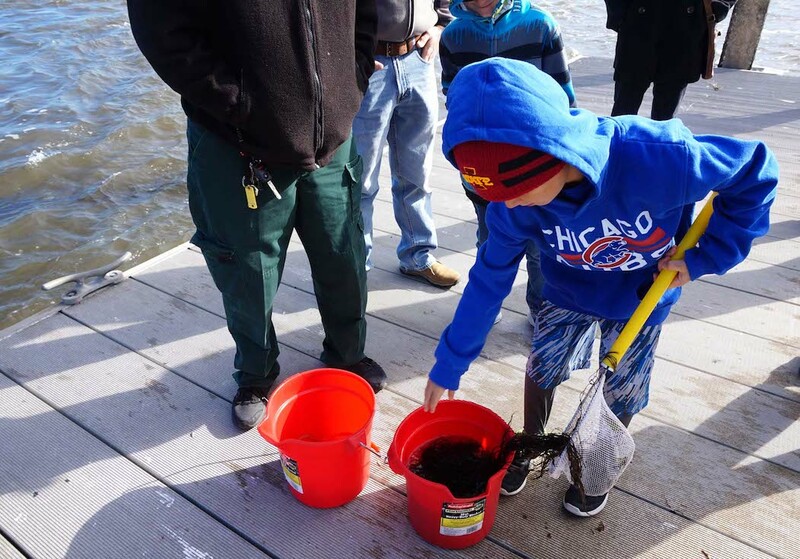 It was a cold December morning, with a high not expected to get out of the 50’s, but the Lower Elementary students were eager to dip their hands into the water with the net to see what they could scrape off the underside of the floating dock. 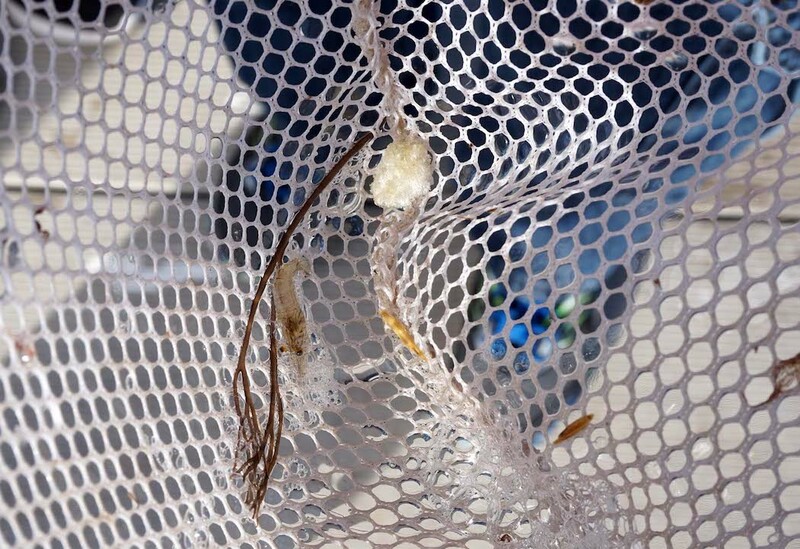 With nets full of life from such things as algae, sea lettuce, shrimp, barnacles and crabs, the children were excited to show the park rangers at Crooked River State Park what they had scooped up. They would rather gingerly poke through the net’s contents, wary of a crab’s pinch and other unknowns, to empty the contents into the buckets, but eager to dip their nets again into Crooked River. A Lower Elementary student empties his net after scraping along the bottom of the floating dock at Crooked River State Park. The visit to the state park just across the state line in Georgia was part of Montessori Tides School’s field trip program. The Elementary classes aim to take in at least one field trip a month. A students shows the shrimp that was caught off the floating dock at Crooked River State Park. After the one group finished collecting material with their nets, they sat with the park ranger to take a closer look at what they found, including crabs and shrimp, before releasing everything back into the water. This part of the field trip had the students discussing such things estuaries, tidal creeks and phytoplankton. They also learned that oysters can filter two gallons of water an hour. A student gets a closer look at a Southern Atlantic squid during the Lower Elementary field trip to Crooked River State Park. 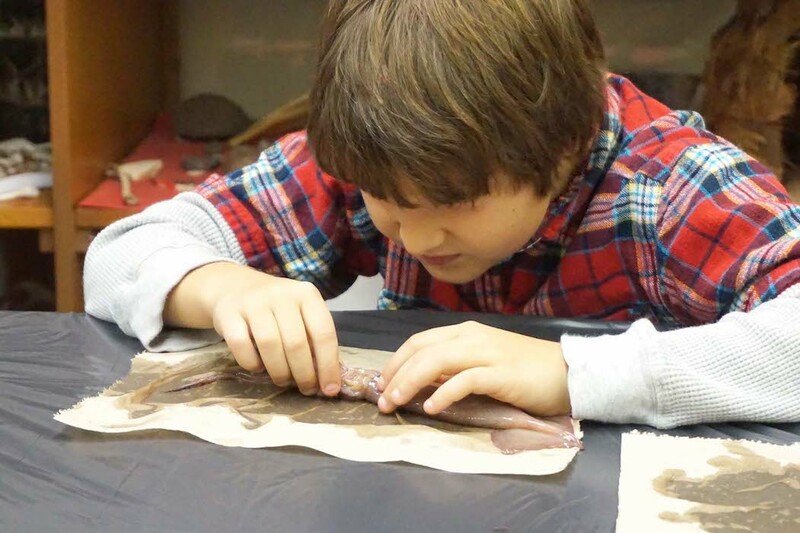 The group then went indoors to examine squid anatomy through observation and dissection. 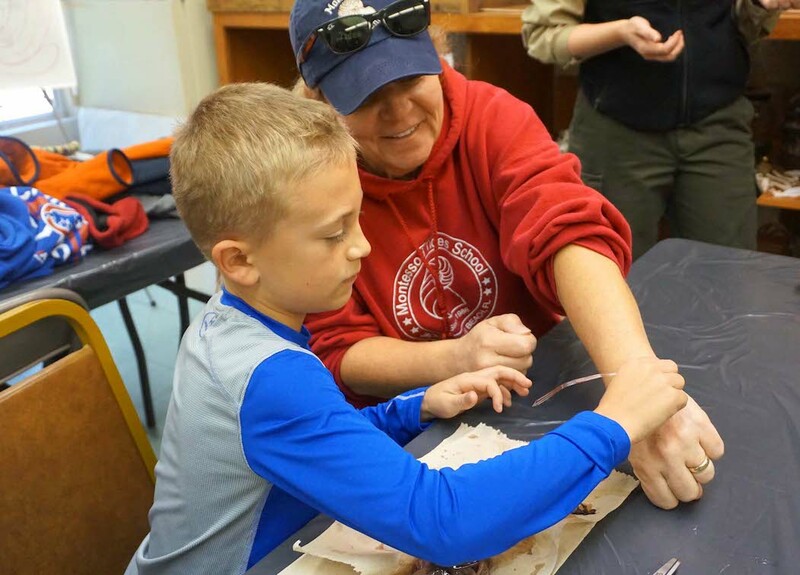 With a mixture of focused curiosity and uncertainty, the students listened as the ranger pointed out the squid’s features they could see on the outside, such as its arms, beak, fins, funnel and eyes. The students then used scissors to cut open the squid so they could see the large liver, ink sac and hearts — yes, squids have three hearts. The ranger spoke about how the squid adapts to its environment using the pigments in its skin and how it’s an invertebrate. A Lower Elementary student gives Ms. Elaine a squid ink tattoo using the pen and ink from the squid. 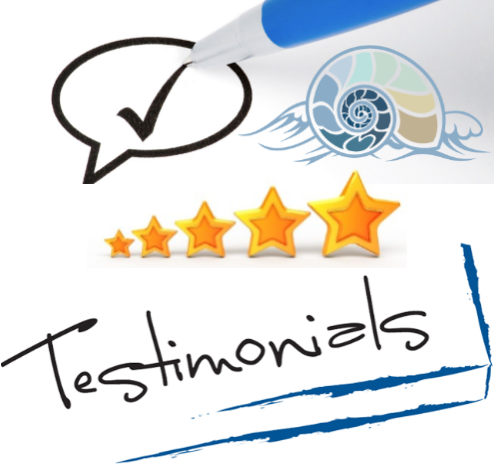 Since the class recently had the great lesson on the Time Line of Life, the morning’s sessions built upon what they are doing in the classroom. 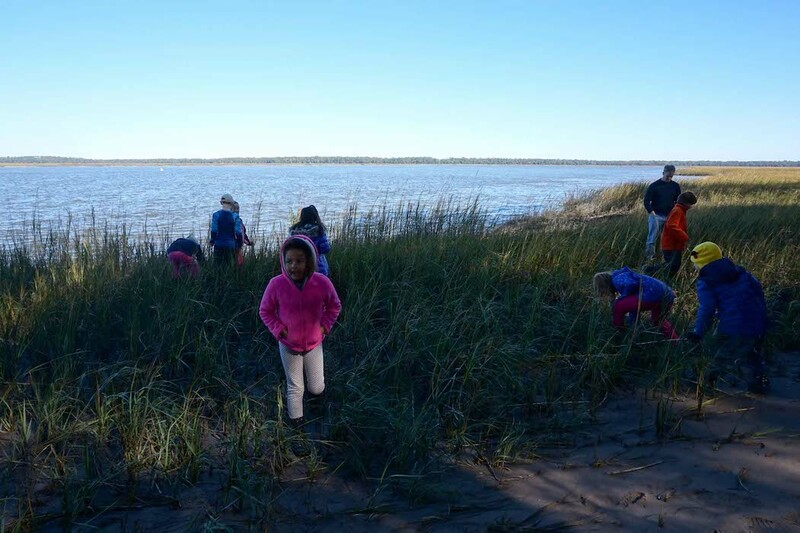 After learning about the role a marsh plays, the students had a chance to walk through it looking for fiddler crabs. After a picnic lunch in the sunshine among the long leaf pine trees, the whole group set out for the marsh along Crooked River. 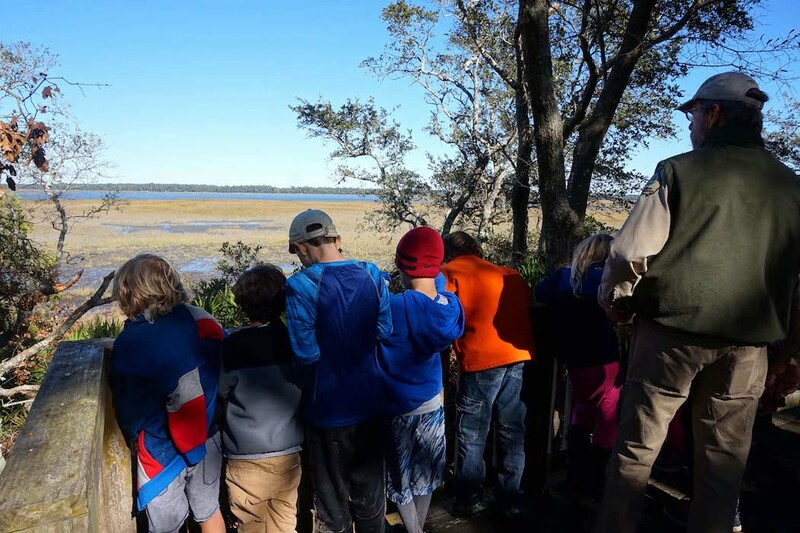 They looked for fiddler crabs and talked about the importance of the marsh ecosystem, which provides food for animals and shelter for animal nurseries, in addition to protecting the mainland. 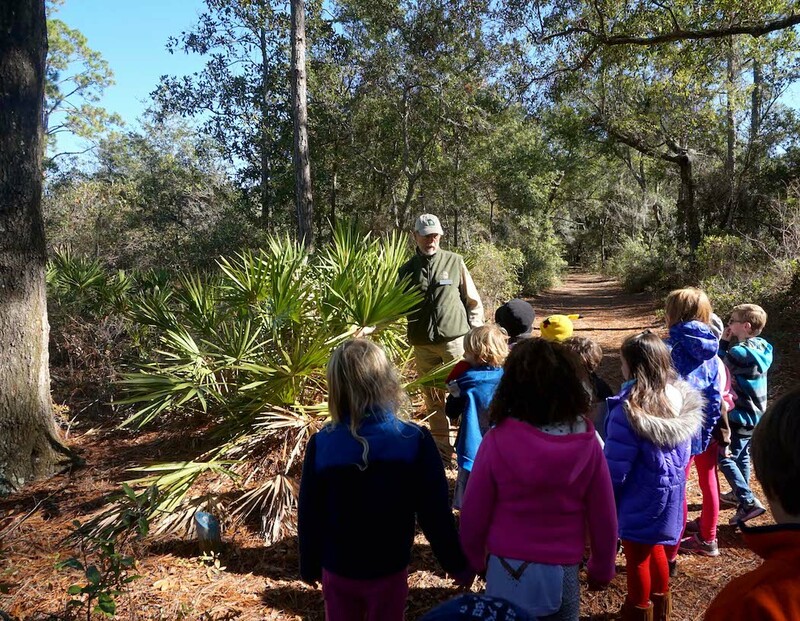 A Crooked River State Park ranger leads the Lower Elementary students on a short hike to end their field trip. To end the field trip, the group took a short hike on of the trails, seeing a gopher tortoise hole along the way. They also played a game that demonstrated how difficult migration is becoming for many animals as more open land is lost along migration routes. One of the main themes in this segment of the field trip was the importance of conserving our natural spaces, such as Crooked River State Park, for future generations — both human and wild — to enjoy. The Lower Elementary students look out over Crooked River from a platform along the trail.